Going on an extended vacation is what every individual looks forward to. People are working round the year and look forward to taking a much-needed break. Instead, people can take short breaks by going for day tours. Many day tour organizers plan trips to various sights of Australia. They divide Australia day trips into two distinct places. They are Melbourne and Sydney. Individuals can opt for any of the places they wish to explore and go on a trip. Organizers have years of experience in planning trips, making it memorable for tourists. Day tours are best suitable for individuals who wish to spend enough quality time with their friends and families. If you do not reside in Australia and have to travel there for a personal or professional reason, you too can be part of it. If you have free days, you can contact the online trip organizers and book your tickets. 1. Blue Mountains day tour- Exploring the Blue Mountain is a ravishing experience. Organizers will take you to Homebush Bay, the hosting site for the Olympic Games which were held in the year 2000. After a tour of it, visitors can climb the Blue Mountains through Historical townships. Tourists will get some time to take rest in the quaint village of Leura. After this, they take the troop to the Echo point and then to discover the majestic Three Sisters rocks. There are more such places which you will get to explore one after one, and this is what will make your trip memorable. 2. Jenolan Caves- They will take the tourists through mountain highway to the township of Blaxland, Lawson, Wentworth, and Leura. You will get to visit the town of Katoomba. It is the capital of Blue Mountains. The magnificent view of dazzling eucalyptus forests and the stunning formation of rocks of the Blue Mountains will make you go crazy. At Jenolan Caves, visitors will get to see Grand Arch. There is a lot to explore at Jenolan Caves. Visitors will surely enjoy it to the core. 3. Sydney sightseeing- You will discover Sydney Darling Harbour and Cockle Bay. The organizer will cross the iconic Sydney Harbour Bridge and stops at Milsons point. 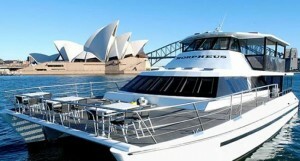 Tourists will get a beautiful view of the Opera House and Harbour Bridge. There are many other places that they will take the visitors to if they opt for Blue Mountain day tours. It is worth going for. The same way goes with Melbourne day tours. It includes all of its favorite places that one should discover. It is a good chance to explore many places in one single day. Organizers design the entire trip as per the tourist’s point of view. They keep in mind what a tourist would expect when they plan to go for a tour.